Chapter 40 begins what is known as the second book of Isaiah. It appears to be separated from the first 39 chapters by about 150 years of time. This is determined also by the scope and style of the first 39 chapters. In the beginning chapters, Isaiah’s name was frequently prefixed to the particular sermons, besides the general title (as ch. 2:1 ; 7:3; 13:1) and is written as if it is one continued discourse. There the distress which the people of God were in by the Assyrian, and their deliverance out of that, were chiefly prophesied. Before God sent his people into captivity He gave them precious promises for their support and comfort in their troubles. Now the people begin to look further yet to greater things; Christ. It is in second Isaiah, this latter part, we find much more, a prophetic summary of the New Testament. The story here begins with “The voice of one crying in the wilderness’’ ch. 40:3 ), and concludes with the book of the Revelation, “The new heavens and the new earth,’’ ch. 66:22 ). If not Isaiah, then who was the message in Second Isaiah written for? Hebrew translations use plural words indicating that it was a group, a remnant within God’s people still living with their captives. While God is providing a message of comfort and hope, He is also giving this unknown group instructions on the future. This is the time we hear much of the Christmas Story. It begins with the foretelling of Jesus – Where do you begin your story of Christ? How do you interpret Verse 6? What impact do you think there was on the attitudes of the generations held in captivity for 150 years? What was the “Comfort” that God wanted his people to spread? 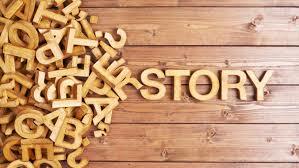 What is your Christmas Story that you tell to your children, family and friends? How do you include Christ into your traditions of the Christmas? Who do you think Second Isaiah was written for? back then – today? One of the styles that made Christ such a good teacher is that when He gave examples, it was easy to apply them. This one is quite simple: we ought to be very careful when we blame others because we all need forgiveness ourselves. If we are of a giving and a forgiving spirit, we will reap the benefit. Although full and exact returns to us do not come in this world, it is the pursuit of the world yet to come that should be our goal. Those who follow the worldly crowds to do evil, which in turn, leads to their destruction. The tree is known by its fruits and so may the word of Christ be grafted in our hearts. It should be our Christian goal to be fruitful in every good word and work. Experience tells us that what the mouth commonly speaks, generally agrees with what is most in the heart. Those who work for their souls with an eternal view, not focused on short term profits, will profit during trying times. These are the words of Christ. Those who place their hope on Christ will find they are safe, being protected by the power of Christ and shall never perish. Why is the heart and mind so closely tied with how one acts? How does the world perpetuate the problems of what is in people’s hearts today? Can you do anything to change a person’s heart? How does the Christmas Story help spread the Good News of the Gospel and change people’s hearts? What are the ways a Church can stay focused on the true story of Christmas?